Located within easy walking distance to a metro station, most of Delhi's major tourist and business locations are easily accessible. We offer a host of services which make your stay comfortable, including extra large rooms, air conditioning, Dorm, satellite TV, laundry service, travel desk, doctor on call. 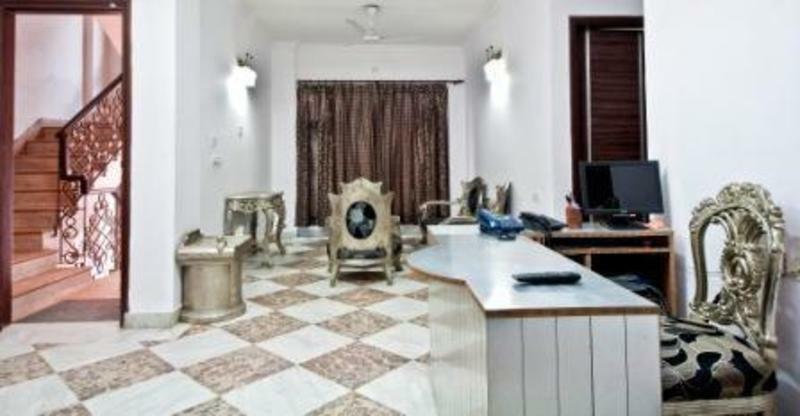 The rooms at The Namaskar India are gracefully and luxuriously appointed which when experienced with the services mentioned above give you a complete hospitality experience. Our arrangements are satisfactory to the core because of our flexible approach to your needs which ensures that your needs are met, no matter what. 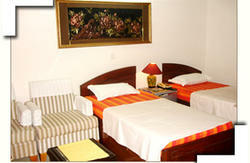 Our extra large rooms come furnished with many amenities to make your stay enjoyable and comfortable. 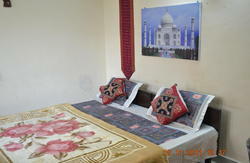 Each room comes with air conditioning, marble flooring, satellite TV, telephone with direct dialing facility, refrigerator. Our executive suite also includes a sitting room for your comfort and convenience. 24 hour prior notice is required. Cost- Taxi - 350/- Rs. Transportation type Taxi, Auto Rickshaw, Bus, Train.